FOOTBALL: Antonio Conte won’t be sacked as Chelsea manager in the short term at least after being granted a stay of execution by Roman Abramovich, according to reports on Tuesday (Feb 6). 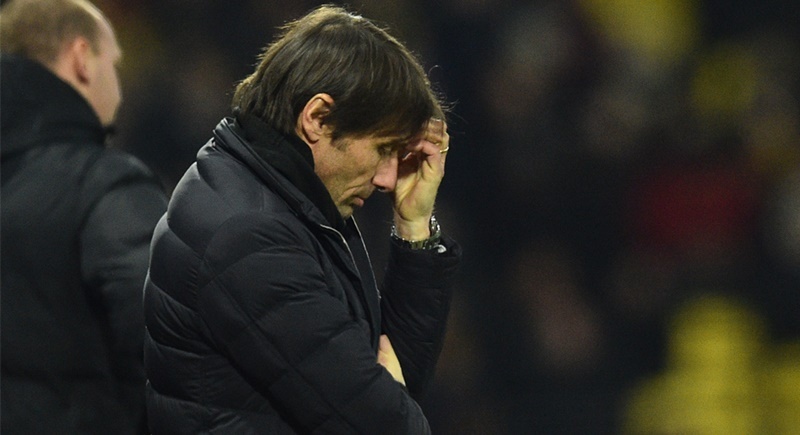 Conte’s future with the troubled Premier League champions was cast into doubt on Monday (Feb 5) after a dismal 4-1 defeat against Watford. Fourth-placed Chelsea are languishing 19 points behind leaders Manchester City after a turbulent campaign marred by Conte’s squabble with his club’s hierarchy over their transfer policy. Blues owner Abramovich has never been shy about wielding the axe when his managers under-perform and it was suggested the debacle at Vicarage Rd, coming hot on the heels of a wretched home loss to Bournemouth, could prompt Conte’s dismissal. But widespread reports in the British media on Tuesday claimed former Juventus and Italy manager Conte is now expected to remain in charge for Monday’s (Feb 12) game against West Bromwich Albion. Former Barcelona boss Luis Enrique is among the big names who have been linked with the Chelsea job, but Conte is said to be refusing to contemplate resigning after less than two years in charge at Stamford Bridge. The Italian is believed to have irritated his squad with his demanding training schedule and intense personality. And Conte has now given Chelsea’s players three days off to recover after the Watford defeat. Having publicly complained about Chelsea’s failure to land his top transfer targets this season, Conte risked angering Abramovich last week when he questioned why the club hadn’t given him a vote of confidence amid speculation over his future. Chelsea backed their manager, who still has 18 months of his contract to run, during the January transfer window by bringing in defender Emerson Palmieri from Roma and France forward Olivier Giroud from Arsenal. Meanwhile, Chelsea defender Gary Cahill admits the squad needs to be held accountable for the performance against Watford. “Whatever is decided, the players have to take responsibility. The manager has done an absolutely unbelievable job,” Cahill told the London Evening Standard.